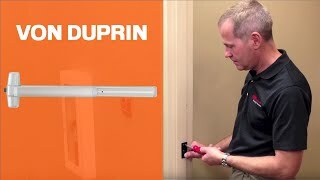 This Von Duprin 99L-NL is a terrific exit device that meets ANSI 156.3-20001 Grade 1 standards and is UL listed for fire exit hardware. It is a handed product available for right hand reverse and left hand reverse doors. Two rail sizes are available to suit the needs of your application.